Shannon was devastated when her father passed away just before her wedding. 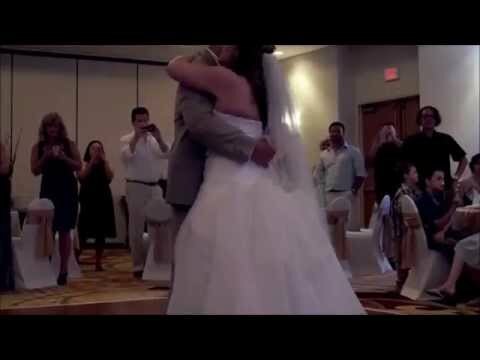 Since she was a little girl, she always dreamt of having a father and daughter dance during her marriage. Shannon fantasized about her wedding since she was 4-years-old by dressing up as a bride and walking down the isle. Shannon and her father rehearsed the dance but never got the chance, as he passed away just days before her wedding. With everything booked and paid for, they could not delay the wedding, so they went ahead with it. What Shannon’s groom Perez did leave her in tears, he asked her for a dance, and as he turned around, he had a picture of her late father printed on the front of the shirt. Shannon burst out in tears and left the audience reaching for tissues.